The Parliament, the supreme legislative body is failing the people, given the poor performance it demonstrates . Parliament is the collective conscience or sum total of democratic polity of our republic, and it's proceedings are in the news not for it is meant for, it is marred by host of issues, the issue of Joint Parliamentary Committee in the 2G spectrum scam, the bill for Telengana, the uproar for the resignation of Manmohan Singh as Prime Minister for coal block allocation scam, FDI in retail and many others. "Such disruptions hit our Parliamentary system like a thunderbolt...I am pained by our failure in that the 15th Lok Sabha has not been as productive as the previous Lok Sabhas," Meira Kumar, speaker of the Lok Sabha. The entire session of the 15th Lok Sabha was washed by such scams. Though the tenure also had various embankments like the National Fool Security Bill, Companies Bill, Land Acquisition Bill, Right to Education, yet the scams and misappropriations of this tenure was much unprecedented. Of the last fifty years, the productivity of the 15th Lok Sabha has been worst. Reports say that, in comparison to the 13th and 14th Lok Sabhas which worked for 91% and 87%, respectively, the productive time of this Lok Sabha was 61%. It passed 116 Bills and 68 Bills will lapse upon its dissolution. 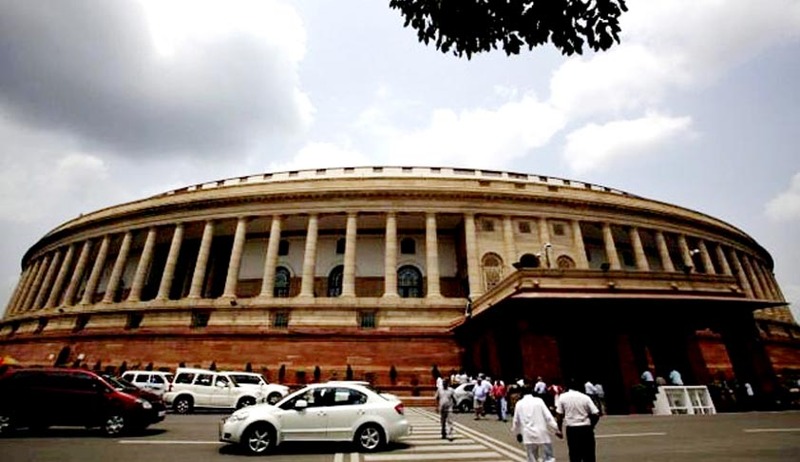 The 15th Lok Sabha passed 177 Bills of the 326 to be considered, which is the least number of Bills passed by a full five year term Lok Sabha. It must be noted that the 13th and 14th Lok Sabhas had passed 297 and 248 Bills, respectively. With the last session of the 15th Lok Sabha having ended, a total of 68 Bills will lapse, which includes the Women’s Reservation Bill, Direct Taxes Code, Micro Finance Bill, Judicial Standards and Accountability Bill and the Bill enabling the introduction of Goods and Services Tax. In the Lok Sabha, 36% of the total Bills passed were debated for less than thirty minutes. Of these, 20 Bills were passed in less than five minutes. In the Rajya Sabha, 38% of the total Bills passed were debated for more than two hours, and 7 Bills were debated for less than five minutes. Some of the Bills pending before the Rajya Sabha are the Judicial Appointments Commission Bill, Drugs and Cosmetics (Amendment) Bill, Real Estate (Regulation and Development) Bill, Higher Education and Research Bill, and Prevention of Corruption (Amendment) Bill. There is a serious criticism about the constitutionality and contents of certain bills. There was no effective debate on Judicial Appointments Commission Bill, and it's form would reveal that it is drafted not for independent judiciary, it remains more of an executive assertion. 60% of the time for Question Hour, first hour of every Parliamentary sitting, was lost to disruptions during the 15th Lok Sabha. Lok Sabha and Rajya Sabha lost 61% and 59% of the time scheduled for Question Hour respectively. A total 6,479 questions were scheduled for oral answers in Lok Sabha and 6,512 in Rajya Sabha during the 15th Lok Sabha. Of these, only 10% of questions were answered in Lok Sabha and 12% in Rajya Sabha. No question in the Rajya Sabha could be answered orally during three sessions of the 15th Lok Sabha. The five years found only 29 % of total productive time was spent for the Budget. Moreover, the Interim Budget in 2014 was passed without discussion. In 2013, the Finance Bill and Demands for Grants amounting to Rs 16.6 lakh crore were voted and passed without any discussion. Durind the tenure of, 2011 and 2012, 81% and 92 % of total demands by ministries were voted on together, without any discussion. In 2011 Budget was passed without standing committees scrutinising the demands for grants from various ministries. For all such pitfalls, the 15th Lok Sabha has been most unproductive in the last five decades.